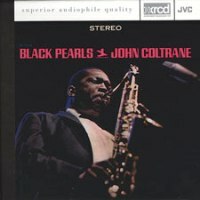 Description: In addition to their positions of importance in the Miles Davis quintet of the mid-Fifties, John Coltrane and Red Garland recorded a series of studio dates for Prestige in 1957 and 1958. Here, as in several of the others, Paul Chambers is the bassist and Arthur Taylor the drummer, with Donald Byrd on trumpet making it a quintet. The all-star musicians stretch on three long tunes, and everybody is in their top form. The listener can clearly see that Coltrane was close to perfecting his aggressive, fiery "sheets of sound" style. It is wonderful to hear him soar, assisted by the rock-solid and swinging rhythm section. Donald Byrd also shines with his relatively relaxed, intelligent style of performance. Produced by Bob Weinstock. Recorded by Rudy Van Gelder on May 23, 1958. XRCD mastering by Alan Yoshida at A&M Mastering Studios, Hollywood. The extended resolution compact disc (XRCD) from JVC brings the listener higher fidelity and improved audio quality by enhancing the process of mastering and manufacturing compact discs. XRCD is compatible with all CD players.